Cook lo mein noodles according to package directions. Drain and toss with ½ teaspoon sesame oil to prevent sticking. Set aside. In a small bowl combine the soy sauce, remaining 1½ teaspoons sesame oil, Srirach seasoning, and dissolved sugar. Set aside. Heat canola oil in a wok over high heat. Add the ginger, garlic and the white parts of the scallions and sauté quickly until they release their aroma. Add the carrots, remaining pieces of scallion and mushrooms. Cook another 2-3 minutes then add the wine. Stir fry for another minute and add the bean sprouts , snow peas and Bok Choy. Saute until the Bok Choy is wilted. 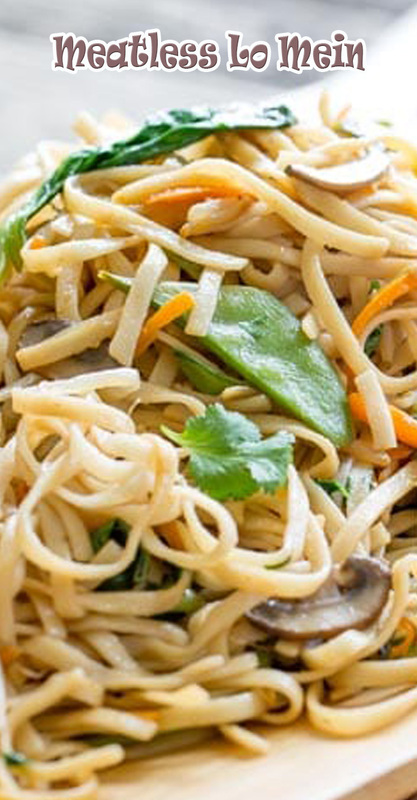 Make sure the cooked noodles are not stuck together and add them to the wok. Pour the sauce over the lo mein and throw in the chopped cilantro. Stir fry until all the noodles are covered in the sauce. Use two large spatulas or spoons to lift and scoop the noodles making sure all ingredients are combined and distributed.